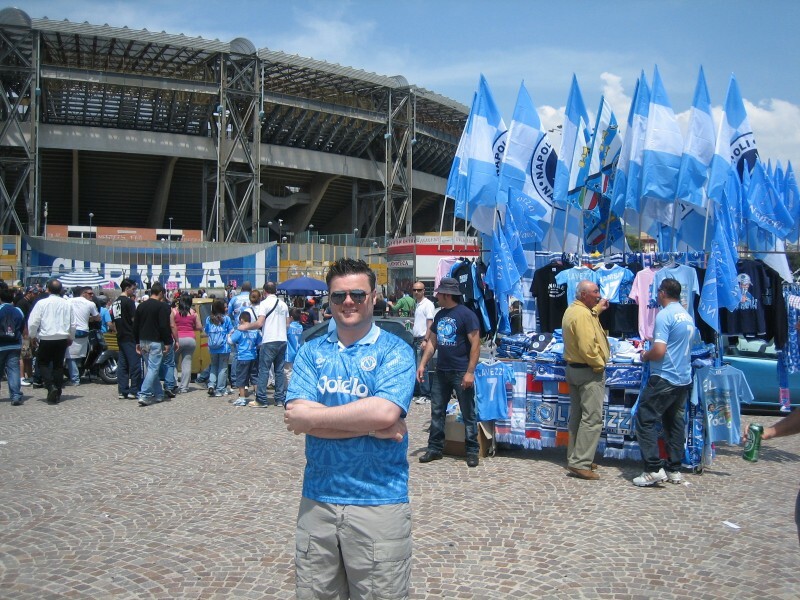 This pic was taken outside Napoli's San Paolo Stadium in 2008. I have followed them since Maradona played for them. Unfortunately the majority of years since we're dark days culminating in them going bust. Better days have followed and in the game I went to in '08, we beat Milan 3-1. I've been back twice more and will do so again. Forza Napoli!